Are you in the BLACKCOUNTRY looking for SKIPS? Look no further! For all of your SKIPS in the BLACKCOUNTRY go to Jones Skips! 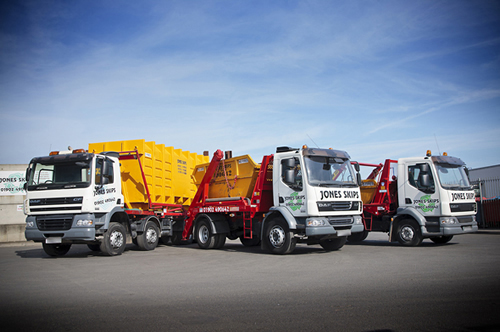 Jones Skips are specialists BLACKCOUNTRY suppliers of Skips, Skip Hire, Builders Skip Hire, RoRo Skips, Roll On Roll Off Skips, Waste Transfer Station Facilities, Waste Removal, Waste Recycling, Tipper Truck Hire, Bulk Haulage, Hazardous Waste Removal and Total Waste Management Services. Jones Skips are based in Wolverhamton which is in the heart of the Blackcountry in the West Midlands. This makes the company an ideal choice for anyone looking for SKIPS in the BLACKCOUNTRY. Jones Skip Hire (Wolverhampton) Ltd is a well established Blackcountry Skip company specialising in all aspects of the Skip Hire industry. This is one of the largest Independent Skip Hire Companies in the Midlands but it is still a family run business and prides itself upon providing an efficient and personal Skip Hire Service to clients large and small. This Blackcountry Skip Hire Company is situated in Wolverhampton in the very heart of Central England. This location, coupled with the close proximity of the motorway network, allows the company to provide a top quality Skip Hire and Waste Removal Service to all surrounding areas. For all of your Skip Hire Solutions, Recycling Requirements, Waste Disposal Requirements and Waste Management Solutions - call Jones Skips today for your FREE NO OBLIGATION SKIP HIRE QUOTATION! So, if you are in the BLACKCOUNTRY and you want SKIPS - Call Jones Skips!